The annual conference of the American Association of Teachers of Slavic and East European Languages, AATSEEL, is your chance to make personal contact with the most active and professional Slavists in the United States and Canada. Our exhibit hall typically features 15-20 organizations such as publishers, booksellers, study abroad organizations, teaching placement agencies, Title VI National Resource Centers focused on our regions of interest, and travel companies that serve this highly specialized market. AATSEEL will organize coffee breaks in the Exhibit Hall to encourage all conference participants to visit your tables. Please contact Rachel Stauffer if you would like to sponsor a coffee break or you would like to refer us to a potential sponsor and/or exhibitor. Rates for exhibiting at AATSEEL are below. 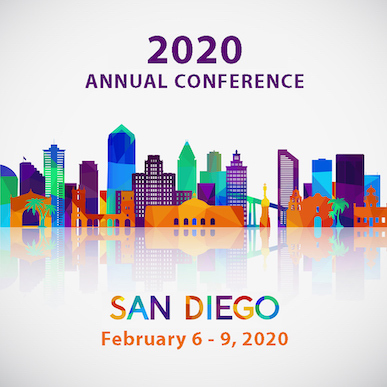 Select "Exhibit - February 2020" option by January 1, 2020 to ensure that your company or organization is listed in the printed Conference Program. Requests for exhibit space will be accepted through January 15, 2020*, although a listing in the program is not guaranteed after January 1. *Exhibitors may request exhibit space after the January 15, 2020 deadline, but we cannot guarantee availability of space. If space is available, we will be glad to accept the request, but we will charge a $150.00 late fee in addition to other exhibit fees. Forms from the hotel with additional information about setup, storage, shipping, receiving, and AV will be emailed directly to exhibitors in mid- to late January 2020.